We had the pleasure of having the talented filmmaker Chalkley Calderwood, here in the studio for a few days. In this short film Elizabeth Lyons, Founder of More Fire Glass Studio, talks about the philosophy and craft behind her luminous, hand blown sculptures and decorative objects. 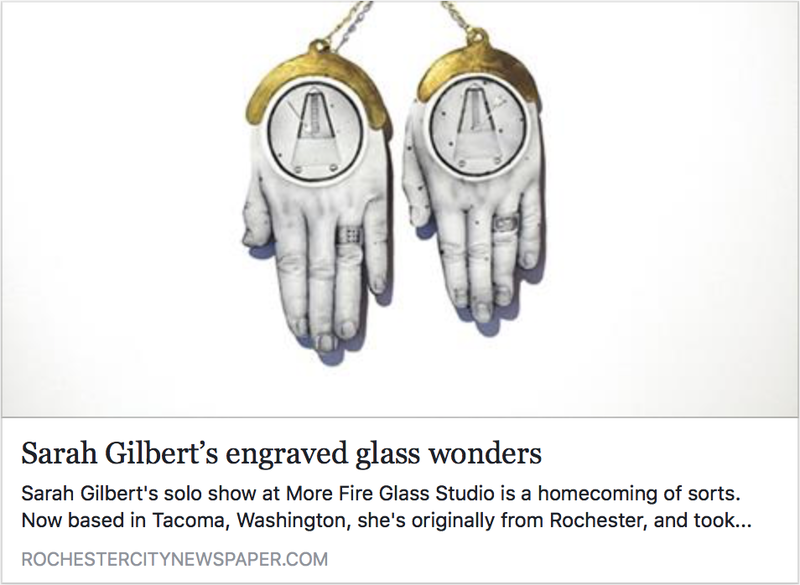 Thank you Rebecca Rafferty of Rochester City Newspaper for such a thoughtful piece about the exhibition. Click on the image to read the article. City Newspaper and Canandaigua National Bank & Trust have begun a series of videos featuring local artists making an impact in our Rochester community. We are very proud to have our own, Jennifer Schinzing, kicking off the series with episode 1! We are thrilled to have had a visit from WXXI for their Arts InFocus series.